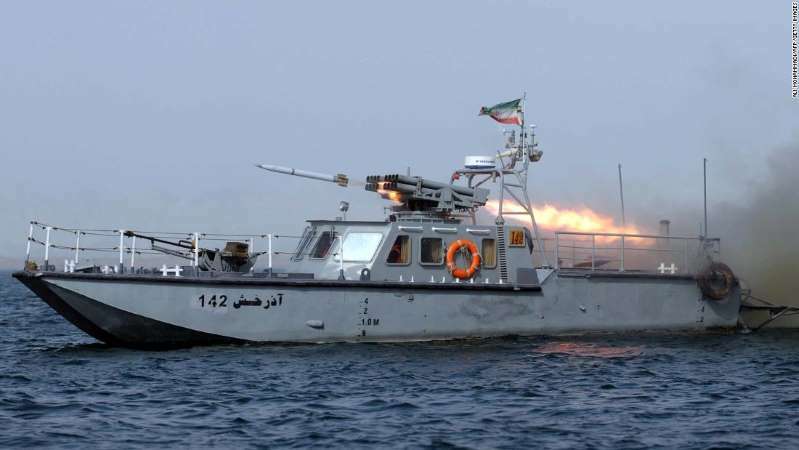 An Iranian war-boat fires a missile during the "Velayat-90" navy exercises in the Strait of Hormuz in southern Iran on December 30, 2011. Iran has begun a major military exercise in the Persian Gulf region, according to a U.S. defense official directly familiar with the latest U.S. information. The "exercise is underway," and the U.S. assesses the Islamic Revolutionary Guard Corps has deployed "dozens" of small boats in the initial phase. The exercise is taking place in the Persian Gulf, the Strait of Hormuz and the Gulf of Oman. [post_ads]While Iran has not widely publicized the exercise, the U.S. military is concerned it could demonstrate Iran's ability to interfere with commercial shipping and shut down the Strait of Hormuz, a crucial conduit for global energy supplies, U.S. officials say. The timing is unusual. These types of IRGC exercises typically happen much later in the year and the official said the U.S. assesses that the exercise is partly being held in response to rising rhetoric from the U.S. The official said it's not clear if the timing of the exercise is tied to the U.S. only having one warship inside the Gulf at this time. U.S. military commanders are "monitoring the situation closely," a second official said. The U.S. military has been trying to encourage other nations in the region, especially Saudi Arabia, to take a strong line on keeping the Gulf open in the face of rising Iranian rhetoric. They have also expressed concern about keeping open the waterways off Yemen where Iranian-backed rebels have attacked oil tankers. "Iran has threatened to close the Strait of Hormuz. They've done that previously in years past. They saw the international community put — dozens of nations of the international community put their naval forces in for exercises to clear the straits," U.S. Defense Secretary James Mattis said last week. "Clearly, this would be an attack on international shipping, and — and it would have, obviously, an international response to reopen the shipping lanes with whatever that took, because of the world's economy depends on that energy, those energy supplies flowing out of there."